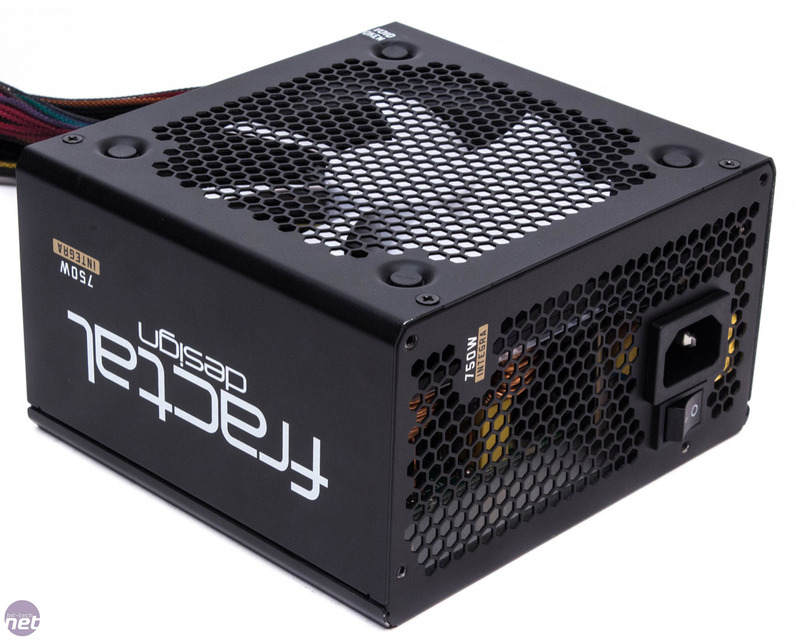 With good reason, Fractal Design is a name that's popular in the chassis market, but it has a growing range of PSUs too. The Integra R2 series is its budget range of power supplies, with the 750W model under review the top capacity available. It's the cheapest PSU of the group by some margin, and at just £60 is less than half the price of a few, but resultingly it also has the lowest warranty of just three years. It carries the 80 Plus Bronze certification, which is fine for its price, especially when you consider its at least £20 cheaper than Cooler Master's Bronze certified, lower wattage model. 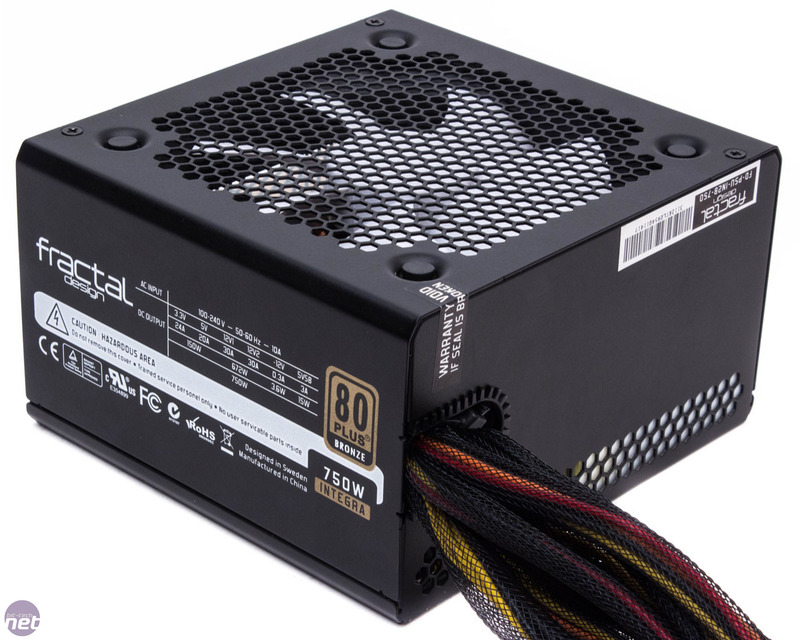 The Integra R2 is a very compact PSU, and thus only manages to squeeze in a 120mm temperature controlled fan, with honeycomb mesh for both the intake and exhaust vents. The rounded edges and Fractal's classic contrasting of black and white make for a tidy and attractive unit. What's less attractive is the fact that all of its cables are captive; it's the only PSU on test with no modular cables at all. While this does detract from its appeal a little, there are certainly plenty of occasions where we'd sacrifice modular cabling over performance to reach a lower price tag, so its absence is understandable. A few cable ties are provided to help you deal with the array of cabling, and at least the cables are all sleeved right back into the PSU casing. Disappointingly, only two molex connectors are provided with the Integra R2, which is very few by any standard. It also has the lowest number of SATA connections in this test, but its six should still be adequate for most budget builds. 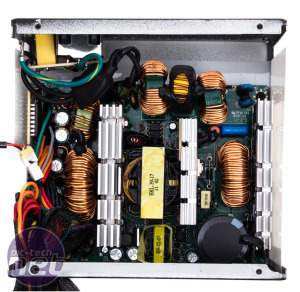 Importantly for a 750W PSU, it has a full array of four 6+2 pin PCIe connections. Its 49cm motherboard cable is the shortest of the bunch, with the remaining cables all being short to mid-length varieties that should be sufficient for smaller builds. The Integra R2's dual +12V rails are both rated at 30A, or 60A in total. Our voltage stability tests reveal more fluctuation than most of the other units, as the +12V rail drops to 11.64V under load, although this is still a healthy output and within 3 percent of what it should be. Similarly, the +5V and +3.3V rails could be a little better, but they leave us with no concerns about the PSU's stability. 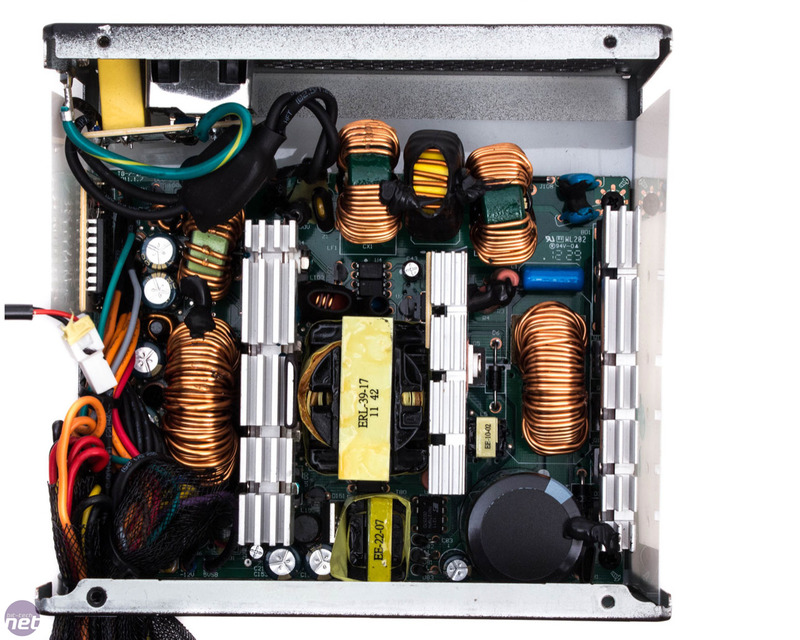 The 85.57 percent average efficiency the Integra R2 achieves is about what you'd expect from a Bronze certified PSU, and in the three load scenarios likely to best represent the typical performance demands placed on it (300W, 400W and 500W), it's over 86 percent efficient. The Cooler Master PSU does just outshine it in each test here, but the Fractal PSU's efficiency is far from bad, and you couldn't ask much more of it at this price level. 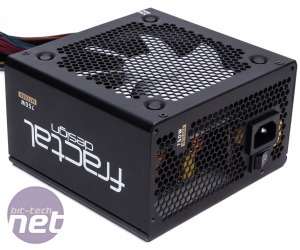 The ripple results of this PSU are fantastic, with a maximum ripple of just 53.4mV at 700W, which places it narrowly behind the Enermax unit that's over twice the price. Its ripple falls to as low as 27.8mV, and it even leads the pack in four of the six separate load scenarios. A usage without any load applied of 0.41W is acceptable, but sadly Fractal's PSU is a let down in the noise department. Even at just 100W of load, it registers over 40 dB(A), which increases to a massive 55 dB(A) at 500W. This wouldn't be quite as deafening as the reading suggests sitting at your desk, but it's still an undeniably loud unit, which is especially disappointing considering that it's made by quiet computing specialists Fractal Design. Crucially, despite its low price, Fractal's Integra R2 is far from a poor electrical performer, and its ripple values in particular put other costlier PSUs to shame. The three year warranty and lack of modular cabling is a shame but also understandable, although a few extra molex connectors certainly wouldn't go amiss. 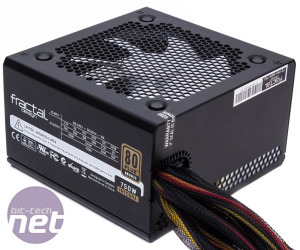 Nevertheless, the £60 price tag makes this PSU an enticing 750W model provided you don't need masses of connectors and can tolerate the noise output.